The Land of Kings, Rajasthan is truly a majestic land of maharajas, impressive forts and decadent palaces. But this magnificent land is more than the royal ostentation of its former rulers; it is also a land of breath taking natural beauty with wide expanses of desert, wildlife and colourful festivals. Rajasthan is the largest state in India, located in the northwest of the country, bordering Pakistan. Its beautiful temples, ruins, forests and fairs draw visitors from all over the world making Rajasthan tour packages a favourite holiday destination. The state is home to the Thar Desert, the Aravalli Mountains, the world renowned Bharatpur bird sanctuary and three tiger reserves. Begin your Rajasthan Tour at the state capital, Jaipur. Called the Pink City for the pink sandstone buildings that dominate the city centre, Jaipur is a part of the Golden Triangle of tourist destinations along with Agra and Delhi. Rajasthan tour packages often include Jaipur landmarks such as Hawa Mahal, City Palace, Jantar Mantar and the glorious Amer Fort. Hawa Mahal is a beautiful palace in Jaipur built of red and pink sandstone. Constructed for the women in the royal household of the Jaipur kings, the palace is known for the intricate latticework and honeycomb design that let the royal ladies see without being seen. An essential part of every Rajasthan tour, this is, perhaps, the best known palace in Rajasthan. The City Palace which is still a royal residence and Jantar Mantar, a giant sundial, are great additions to Rajasthan tour packages. The highlight of the Jaipur leg of your Rajasthan tour will certainly be the glorious Amer Fort. Perched high up on a hill, a short drive from Jaipur, Amer Fort is a UNESCO World Heritage Site with elaborate courtyards, mirrored ceilings and temples. Another favourite stop of Rajasthan tour packages is Jodhpur. Located in the midst of the stark Thar Desert, Jodhpur is a popular tourist destination known for its forts, temples and palaces. The most beautiful of its attractions is the Mehrangarh Fort. One of the largest forts in India, the imposing structure is built on a hill overlooking the blue washed houses of the city below. The fort is made up of several smaller palaces including the Sheesha Mahal (Palace of Mirrors), Moti Mahal (Palace of Pearls) and Phool Mahal (Palace of Flowers). The museum at the fort is also a must visit during your Rajasthan tour with galleries of ancient palanquins, armoury, paintings and turbans. Other attractions that are part of Rajasthan tour packages include the Umaid Bhawan Palace and the Jaswant Thada. The latter is a memorial built by the Maharaja Sardar Singh of Jodhpur State in 1899 in memory of his father, Maharaja Jaswant Singh II, and serves as the cremation ground for the royal family of Marwar. The cenotaph consists of several gazebos, gardens and a lake. Umaid Bhawan Palace is one of the largest individual residences in the world. Home to the erstwhile royal family of Jodhpur, the palaces also houses a hotel and museum. Enjoy the stunning murals, paintings, pottery and photographs during your visit to the Palace. A great addition to most Rajasthan tour packages is Udaipur, also known as the City of Lakes. The historical capital of the kingdom of Mewar, the city is located in the southern part of the state and is famed for its picturesque lakes including the famed Fateh Sagar Lake. Udaipur is known for its palaces, temples, lakes and public parks. The City Palace, possible the most beautiful of the palaces, is built on the banks of Lake Pichola. The palace is riddled with courtyards, gardens, corridors and terraces. The palace is also home to museum that hosts paintings, furniture and utensils. 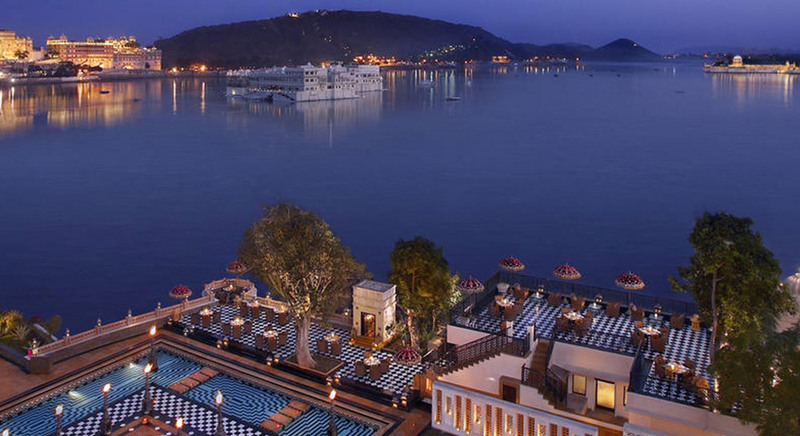 You could also make the Lake Palace a part of your Rajasthan tour. The splendid summer palace of the Mewari royals, it has been constructed in the middle of Lake Pichola and is now a luxury hotel. When in Udaipur, you could also visit the 17th century Jagdish Temple that was built by Maharana Jagat Singh I and the Kesariyaji Temple, a Jain temple with elaborate marble carvings on spires, arches and corridors. The city is also known for its parks and gardens such as Pratap Park that boasts of views of Lake Pichola and City Palace and Sahelion Ki Bari, an 18th century park with fountains, kiosks, ponds and marble elephants. Be sure to visit traditional folk dance performances such as the ghoomar and purchase an authentic miniature painting. Also visit the Bharatiya Lok Kala Mandal, a museum that showcases Rajasthani culture. Offering an insight into the lifestyle of the royal era in Udaipur, the museum has a fine collection of dresses, tribal jewellery, turbans, dolls, masks, musical instruments, paintings and puppets. Jaisalmer, located in the middle of the Thar Desert, is a destination frequented by Rajasthan Tour Packages. Largely a tourist town, Jaisalmer is a short drive from the Pakistan border. The town’s attractions include the Jaisalmer Fort, the towns many Jain Temples, havelis and the sand dunes of the Thar. Jaisalmer Fort is one of the few living forts in the worlds, with nearly a quarter of the town living within the fort precinct. The Jaisalmer Fort is one of the oldest in Rajasthan and an essential part of Rajasthan Tour Packages. Called the Sonar Quila or Golden Fort, the structure is built of yellow sandstone and dates back to 1156 AD. It is a UNESCO World Heritage Site with an opulent palace, traditional mansions and several Jain temples adorned with elaborate stone carvings. The town is also a great place to experience the beauty of the Great Indian Desert. 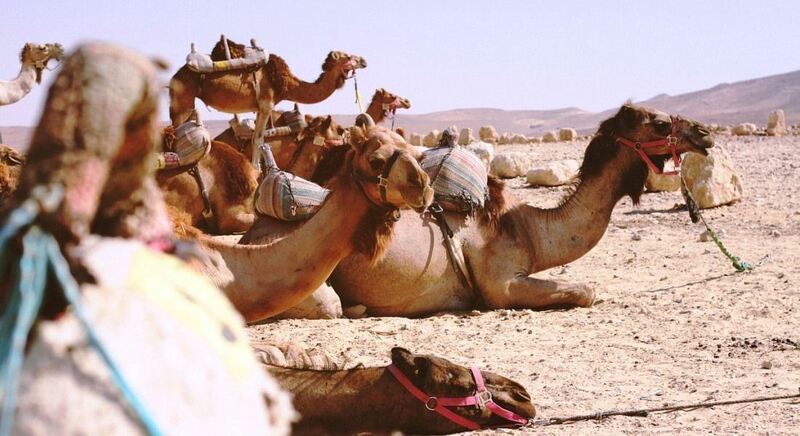 You could take a camel safari, enjoy traditional song and dance performances by a bonfire and spend the night in the desert in a Rajasthani tent on your Rajasthan tour. Not too far from Jaisalmer is the city of Bikaner, one of the most popular places to visit in Rajasthan. Once a powerful princely state, the city is now the fourth largest in Rajasthan with great examples of Rajputana architecture such as the Junagarh Fort and the Laxmi Niwas Palace. Junagarh Fort is one of the few forts in the state not to have been built on a hill. Made of red sandstone and marble, the fort is the biggest attraction in Bikaner. Visit the temples and palaces that make up the fort and admire their ornate terraces and courtyards. Be sure to visit the Har Mandir, the private temple of the royal family as well as Anup Mahal with its carved wooden ceilings, inlaid mirrors and lattice windows. The fort also houses a museum that has an excellent collection of Sanskrit and Persian manuscripts, miniature paintings, jewels, royal costumes, portraits, costumes, enamelware, silver, palanquins, and war drums. While you are in Bikaner on your Rajasthan tour, try some bhujia, a savoury snack that is a local specialty. Make sure you also visit the stunning Lakshmi Niwas palace. The former residence of the Bikaneri royal family, the palace is now a luxury hotel that hosted the Prince and Princess of Wales in 1905. Rajasthan is more than Rajputana palaces and hill forts. It is also a land of diverse flora and fauna. A great example of Rajasthani wildlife is the Ranthambore National Park. The Park is one of the best places in the world to see the Bengal tiger in its natural habitat. Located in Sawai Madhopar in Southern Rajasthan, Ranthambore finds its way in most Rajasthan Tour Packages. The park is known for its large tiger population as well as for mugger crocodiles, leopards, sambar, nilgai, langurs, hyenas and macaques. While at the Park, you can also visit the Ranthambore Fort, a UNESCO World Heritage Site. One of the most famous of Rajasthan’s Hill Forts, Ranthambore Fort is a mandatory stop on your Rajasthan tour. Built in the 10th century, the fort houses several ponds and Hindu temples constructed in the 12th and 13th centuries. Bharatpur Bird Sanctuary, also known as the Keoladeo National Park, is an exemplary bird watching enclave and one of the world’s best bird sanctuaries. The park was a hunting ground of the Maharajas of Bharatpur and is now a UNESCO World Heritage Site. The sanctuary is known for herons, storks, cormorants, ducks, hornbills, and many more rare avian species. You could also spot leopards, otters, civets and porcupines on your safari. We recommend making the temple town of Pushkar a part of your Rajasthan Tour Packages. The town is famous for the annual Pushkar Camel Fair, a livestock and cultural festival. The festival sees the trade of camels, bullocks and other livestock as well as races, beauty contests and other competitions. Pushkar is also known for 14th century Brahma Temple, one of a few of its kind, built on the banks of the Pushkar Lake. The town has over 500 temples and a Sikh temple said to be built by Guru Gobind Singh himself. Rajasthan tour packages are some of the most popular in India with the state offering a fascinating mix of history, culture and adventure that will make your Rajasthan tour the experience of a lifetime. This is a high end luxury's product.